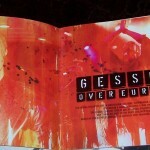 “Gessle over Poland” Video Bootleg DVD is finally out! 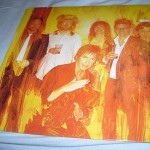 Remember Gessle over Poland audio bootleg we published here last year? Though now it’s the World Tour 2011 time, it’s still nice to watch some clips coming from the memorable European “Party Crasher Tour” by the Man from Roxette. “Gessle over Poland” video bootleg is the result of nearly 2 years’ work of several people – mostly of Slawek Sztul, the one who has recently recorded Vilnius gig. We tried to do it everything in English, but some materials are in Polish – like radio and press interviews with Per. Anyway – the concert what’s important. 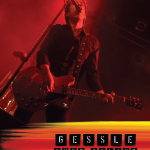 Read more“Gessle over Poland” Video Bootleg DVD is finally out! More Roxette shows to come..
What’s up with the tickets to Roxette’s concert in Prague? Czech fans are extremely looking forward to their tour date in 2011. But, so far, have failed to get hold of tickets for the show. Unfortunately, the ticket sale has not started yet and nobody knows why. Some fans contacted Sazka and Live Nation a few times to find out where the problem is. Sazka replied that they don’t have any idea when the tickets will be available. Live Nation, on the other hand, communicated about a month ago via the Facebook LiveNation CZ page: “During the course of this week we should get a confirmation on the exact date of start of advance sales. Subsequently, we will inform the public – and through media, web pages and Facebook. Of course, thank you for your understanding.” To the date, nothing has happened yet. your name, surname and delivery address. When your order is fulfilled, usually until the next working day, you will be e-mailed back with confirmation and terms of payment. Payment of your reservation would be made via banking transfer, payment has to ordered in czech korunas (CZK) and all the bank charges has to be paid (code “OUR”). Tickets would be sent to your address then by post in a registered letter (expedition fee: within Europe 260 CZK, overseas 450 CZK). Tickets can be ordered from abroad 30 days prior to the event at the latest. Only the very expensive World Ticket Shop (a secondary ticket agent) already offers tickets to Prague show in the O2 Arena. But after a phone verification, we realised that the tickets will be actually sold only via Sazkaticket.cz, and that World Ticket Shop seems to only be adding up buyers to a list, to then purchase tickets from Sazka and pass them on to their customers. Capacity of O2 arena is 18,000 seats and due to poor access to tickets, we are afraid that the arena won’t be filled as we would wish. If you know anything about the Czech ticket sale let us know. Thanks to Lucy for letting us. So here it comes. Afer one year of preparations and waiting we have finally managed to end up our works on yet another bootleg from “Party crasher tour” – to be honest – one of the funniest Roxette fan experiances in the 21st century. After more or less professional recordings from Prague, London, Amsterdam and Stockholm (with Marie) as well as live tracks on amazing double album “Gessle over Europe”, it’s time for Warsaw. 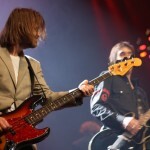 Per Gessle and his band came to Poland to play just one concert in Stodola rock club in Warsaw on April 22nd. In fact Poland was the only country on the tour list where Roxette/Gessle have never played live before. Some sources say that there were around 1,000 people in the audiance, but on the other hand I was informed about 700 tickets sold. Who’s right, who’s wrong? Who really cares? Back to the topic. It’s a bootleg and it’s a compilation. So the quality differs from song to song constantly. Sometimes it’s good, sometimes it’s not so good, but that is how it works when you use five different recording sources. Give Slawek Sztul – he made it all possible (‘na na na’ on “The look” is his! 🙂 and Blanka ‘Blunek’ Pentela – she has designed all the covers for “Gessle over Poland” included in the set – a big hand. I cannot forget about Ela ‘Blue_girl’ Krysinska – thank you for your help and contribution. It was amazing to work with you guys! 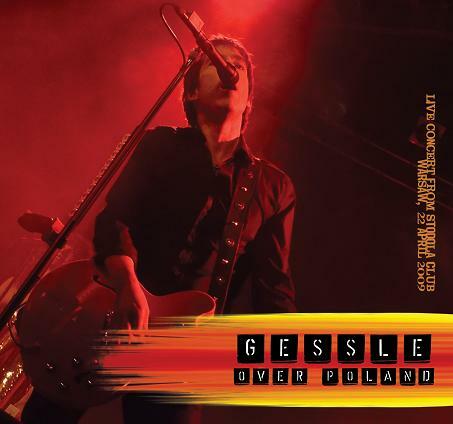 “Gessle over Poland” DVD bootleg will follow shortly. The audio stays the same, but you will get the footage to ALL SONGS. Prepare your Torrents! Filmed by Kirsten in Cologne on April 27th 2009 during “Party crasher tour” with audio coming from “Gessle Over Europe” CD put together by Conny and it’s almost synchronal. 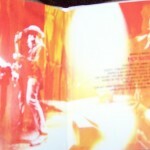 There was another clip of this kind made by me few weeks ago C’mon / Are you an old hippie, sir?. Gessle on Swedish radio for Christmas. For those of you who didn’t catch the latest broadcast of Per Gessle’s “Party crasher tour” gig from Cirkus, there is a good news – the performance will be repeated once again in the shorter version on December 30th at 11.00 am local time on P4 Skaraborg. It is unknown which songs will be included in this show and if there is a chance for something new. Judith and Kirsten met Christoffer Lundquist in Frankfurt before the show on Sunday. In the following interview you’ll find information about Christoffer’s career, love to music, touring with Per and Roxette and much more. Judith: How did you start to play music, compose, get in to music? Christoffer: My parents got me and my sister when I was 6 years old to play violin. And I hated that. I hated every second of it, and I never practiced, never did anything, was horrible, but I sort of discovered it was nice to play notes and find them for yourself, and make up little tunes, so when I was maybe 10 or 11 I skipped the violin and finally dared to tell my parents I didn’t want to do that anymore, and I got an old guitar from my aunt, who also introduced me to the Beatles. From then on I’ve done nothing but playing, try to write arrangements, I am a totally single-minded person, that’s the only thing I do. J: How many instruments do you play? C: I actually only play guitar and bass, you know, reasonably well, the rest is sort of just cheating, but since I buy so many instruments, I have the possibility to practice with them. I play a bit of decent flute, half-decent saxophone, clarinet, I got an oboe, that was fun for a year and then it was too hard, so I skipped that. I have so many different instruments in my studio, but they are all kind of keyboard instruments. J: Was Brainpool your first band? C: No, I had my own band when I was in high school, we played prog-rock, loooong 20-minute songs which I wrote and forced everyone else to play. J: So when did you start to compose your own stuff? C: Probably at the age of 10, when I got the guitar. That’s the reason for playing for me, to try to make your own music or play your own stuff. J: Did you actually study music? C: No, never, the three years of violin when I was 6 to 10 is all my music education. J: And how did you get to Brainpool? C: David Birde was a friend of mine from high school, he had Brainpool going, the bass player was to go and do this army service, so I just joined as a replacement for him. But it turned out that the four of us got along very well and we liked each other, so when his army was over, he was no longer welcome I am afraid, it’s a bit harsh, but it’s the way it was. That was I think 91. 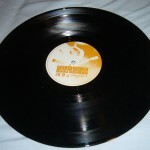 It took a few years until we got a record deal and released our first album. J: How was it that Per discovered your music in first place? 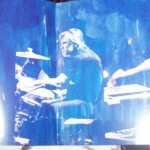 C: He had just started this side of Jimmy Fun Music which was going to release other music, besides Per’s own. We were one of the first bands to send him some demos, just by chance, that’s just the kind of music Per likes. Besides that, our singer, Janne, he sounds a little bit like Per, a little bit of this childish voice if you like, a bit high pitched, so he just fell for it. Back then Per used to listen to all the demos which had to do with Jimmy Fun, later he got a bit tired of it, and didn’t care so much, but in the beginning he was really into it. J: So it was actually his decision to publish your music. 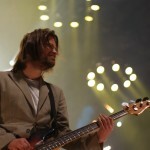 C: Yes, his and Ben Marlene, the guy he had hired to run Jimmy Fun Music. So yes, we were the first band he signed. J: Tell about your first album, Soda, which songs were included? C: You normally collect the best songs from many years and put them on the first album, so that’s the way it worked with us. The second album was a bit more difficult because we had to write the same amount of good quality songs in a shorter period of time. J: How did you write the songs? Did you compose them all together? C: Janne and David wrote most of the songs, I helped with a couple of them, and then I was mostly into the arrangement and producing. J: The style throughout the albums changed quite a lot. C: Yes, that was because we got easily bored. Once we had done something, we wanted to try something else, different. J: Indeed.. you started with some kind of punk and..
C: …and ended up with rock operas! Haha! That’s a huge change, I agree. J: I actually got the first CD when you went on tour, during C!B!B!, you might not remember, it’s 15 years ago, some fans were waiting outside of the hotel for Roxette to come out, and you came out, all of you four, we stared to talk with you, you looked quite surprised we even knew who you were. 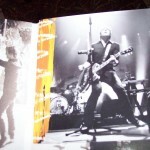 How did you experience the touring with Roxette? C: Well, we came from nowhere and in a couple of months we were suddenly playing to 15000 people in Barcelona, so we were just “aaaahhh!”. It was an amazing adventure. We soon realized it was amazing and fun and learnt a lot. But at the same time nobody really wanted to hear us, of course, I mean, that’s the way it is with support acts. We also realized that after a while, some of the hard-core Roxette fans sort of started to like us, so that was nice. We got a better reaction in some countries. But I remember a gig in Prague, where they had particularly big tickets, and “Roxette” was written on them with large printing, after we had played a couple of songs, people started to raise their “Roxette tickets” .. but well, it didn’t matter, we just played even faster and louder. J: But I still remember in Barcelona some people sang along. 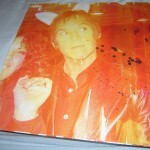 My sister and I had spread your CD … We had lots of fun. C: Yes, I remember that. That was fun, to find small groups of people at the shows who actually listened and sing along. I remember the gig in Barcelona, we didn’t get much reaction from the audience in general, but Spain is different, you know, so I remember I was playing, I just took a couple of steps to the left and then everybody stood up, I was like “WHAT?”, that had never happened before. Haha! J: I remember there was even a fanclub, started by a Swedish girl called Annika. C: Yeah! There was also a girl called Nadja, yes, I think that was the name, from Germany.. or maybe Austria? 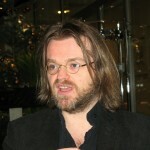 It was really crazy in Sweden for a year or two, a lot of young girls, like 14-year old girls who fell in love with Janne. It was a bit like Gyllene Tider but on a smaller scale. Btw, the first concert I ever went to was a Gyllene Tider concert, during Moderna Tider, I remember I listened to it in secret because I thought it was a big embarrassing, a bit girly music, and I liked heavy important prog rock, but there was something about his voice you couldn’t resist, couldn’t not listen to it, that hit me. J: What happened then with Brainpool? C: It was mainly, the three of us who are still in the band, we drifted apart from Janne, so to say. It’s not that we weren’t friends, but we didn’t have that much in common, didn’t spend that much time together. The three of us are like brothers, so I guess that was the reason, he felt it wasn’t fun anymore. I don’t think he coped very well with the fame and success thing, he just didn’t like it so after a couple of years he felt like he didn’t want to do that anymore. But we continue, it’s still fun, even though it’s more a hobby band now. J: Do you still meet and play? C: We try sometimes, let’s make a new album, but we need time and money and we are busy with many other things, to support ourselves. But we will again, one day, I’m sure. The Junk rock opera is very much alive. The American director who did the show in LA with it, two years ago, is coming to my place in January, we’ll write some new songs for it and develop it. They’ve done like 30-40 shows and now he knows what he feels is missing in the plot, so he’s going to tell us “we need to change this here,” or “this character is not clear enough”, so we are going to record some new music in January. I am really looking forward to it. After that we’ll start working on new Roxette music. Live at Cirkus on P4. As we informed previously, the broadcast of Per Gessle’s concert in Cirkus, Stockholm, due to technical difficulties, was moved from October 24 till November 14. Now the concert is available over the internet and we were informed that this is a compilation of two-day recordings, so listen to it carefully! 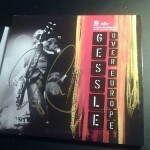 Recorded by the friend of mine in Warsaw on April 22 + high quality music from the latest “Gessle over Europe” CD. Thanks to Inga (aka Arlanda) & Yvonne from Switzerland! 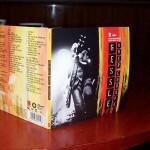 Gessle over Europe – the booklet. 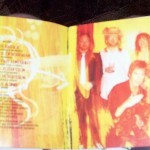 Sorry for the quality, but the reason I took this pictures was just to show you how “Gessle over Europe” booklet looks like, encourage other fans to buy it and not to help some bad guys to make their own, pirate copies 😉 Hope you enjoy them, though. Two reviews of “Gessle over Europe” CD+DVD set appeared in the Swedish press – the first one comes from Göteborgsposten and the author, Johan Lindqvist, gives the album 3 out of 5 and says that “Party crasher tour” got only press when Marie Fredriksson came in picture. Another review was published in Upsala Nya Tidning and GOE got 4/5. Per Gessle was compared by the journalist, Ulf Gustavsson, to the cat with nine lives – his Swedish or English solo career, Gyllene Tider, Roxette or Son of a Plumber. Anyway – the review is really positive. And tonight, the very first look at the DVD – stay tuned! I know it’s difficult to think about our idols’ solo careers at the moment when so many things are happening in the rox-world, but I have to remind you that tonight on P4 Live Per Gessle’s Cirkus concert from May 2009 will be broadcasted as well as the new (hopefully) interview with the Man. According to P4 website, the radio station has recorded both concerts on May 9th and 10th. Don’t know what is happening, but P4 does not broadcast the concert. Edit 1: 11-minutes interview with Per Gessle on P4. 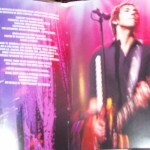 Edit 2: From Gessle.com: Something has gone wrong, P4 is not airing Per’s concert, but a Ted Gärdestad tribute. Edit 3: The concert will be broadcasted on November 14. P4 apologized for this problem. 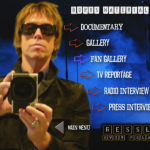 Less stuff on “Gessle over Europe” DVD and some typos. The Daily Roxette published an English version of Swedish press release regarding “Gessle over Europe” CD+DVD set. 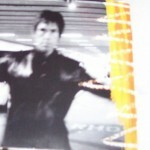 Thomas Evensson did also some scans of a promotional folder printed in Sweden. 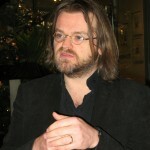 According to it, there are few changes in comparison to the preliminary informations. 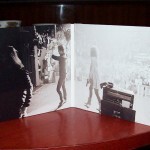 “C’mon” video as well as “Son of a plumber” and “Party crasher” eletronic promotional kits were removed from the frothcoming DVD. I assume it is related with DVD space limitations and will to have the best possible quality of the Cirkus concert. It is worth noticing that two songs from Warsaw concert on a live CD was tagged as “Warszaw”, which is incorrect both in English and in Swedish. The incorrect name of Polish capital was also used in Per Gessle’s blog, so I suppose this was the reason why EMI did mistake there. 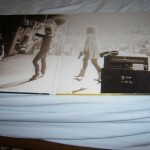 This typo is visible in some webshops as well as on last.fm service. 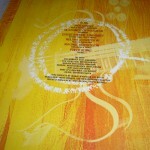 Fortunately, on the back cover of the album everything seems to be right. Poland releases “Gessle over Europe” on October 26. 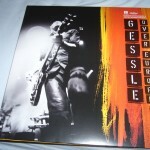 According to two webshops, EMI will release “Gessle over Europe” in Poland on October 26. 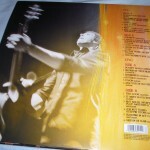 The album costs 74,95 PLN at Fan.pl and 84,99 PLN at Gigant.pl. 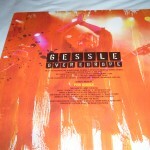 If you know something about “Gessle over Europe” release in your country, let us know!